Bob Saget is not quite ready to say goodbye to Fuller House. The show was renewed for a fifth and final season last week, and the cast was clearly not happy to say goodbye to their show, even if they were thrilled to at least get another season after cancellation rumors had been swirling for months. Now some, including Saget, are hoping that the fan uproar will help keep the show going past its fifth season. "Who knows if it's the last season?" Saget told E! News while promoting his new ABC series Videos After Dark at the TV Crtics' Association winter press tour. "I don't know. Fans are rebelling." When the news was first announced, Candace Cameron Bure admitted in an Instagram comment that the news was "bittersweet." "We are SO happy to be coming back for a 5th season AND for 18 episodes! But so sad we have to say farewell. We would love to do this show forever and ever but I guess it wasn't in the cards," she wrote. "I am happy that we can give the fans a proper ending, however I wish we didn't have to give one at all." A source close to the show told E! News that everyone is thrilled to come back for the fifth season because they were so close to being canceled altogether, and that for Netflix and the show's pacing, five seasons is a "perfect run." The fourth season just debuted debut in December, and Saget says the fifth season will start shooting soon. 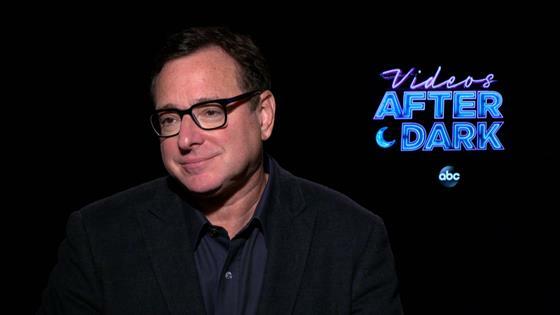 For all the details on his upcoming ABC series Videos After Dark, which is basically an edgier America's Funniest Home Videos featuring the original host, watch the video above! Fuller House streams on Netflix.